An office rental in Ottawa or Toronto is a true sign of success for any company as these are very large and heavily populated metropolitans that house a variety of industry professionals looking to work for top notch companies. Although first time office rentals are a challenging feat for a company of any size, it’s also a good step up in the world and shows that there’s plenty of room for growth and advancement within your business, which is a sure way to attract high caliber and hard working employees as well as clients. With that in mind, here are a few factors you should carefully consider before signing on the dotted line. Ultimately, your budget should include more than just your monthly or biweekly rental fee. Depending on the stipulations you agreed to in your rental agreement, you may also be responsible for paying for utilities, furnishings, as well as the phone, Internet, and water bill. All of these details should be clearly ironed out with the landlord of your prospective building before you sign any lease contracts. Make sure you have a clear understanding of what you’re responsible to pay for and what’s included in your agreement. In this case, you’ll benefit greatly from hiring an experienced commercial real estate agent to review the contract for you and help you with negotiations. Before you even start looking or booking tours for office spaces for rent in Ottawa or Toronto, you need to determine what your business needs are. These requirements should all be in line with your budget, so try to be reasonable, practical, and don’t include anything that’s excessive. On the other hand, you should also take the needs and desires of your clients and employees into account as well. 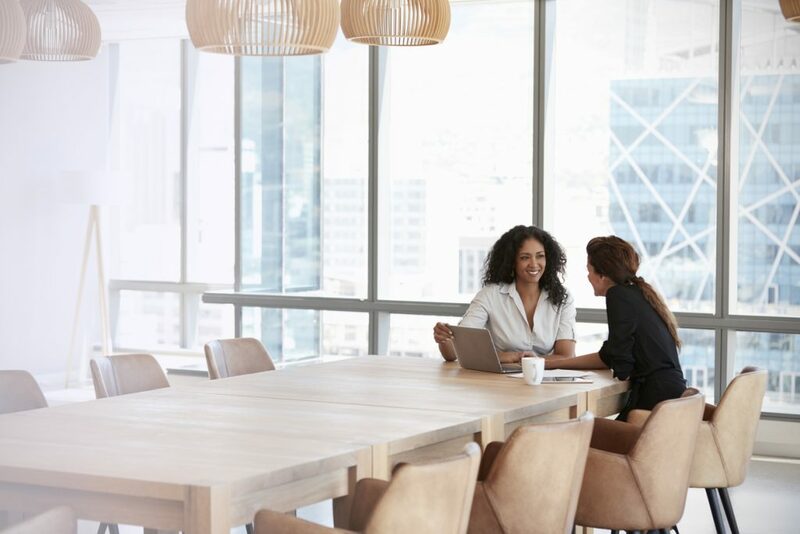 Ask yourself whether a shared office space, a virtual office, or private office space would be the most suitable for your company based upon your established or work-in-progress business culture. There are several types of shared office spaces for rent depending on the size and needs of your particular company. Most modern start-ups or small businesses tend to lean toward co-working spaces that typically boast an open concept and all-inclusive office culture in which companies share the same space and accommodations with other businesses that are similar in size and discipline. You can also rent all-inclusive executive offices in Toronto or Ottawa that are specifically tailored to your company. Only employees from your company will be occupying this space. The benefit is that it allows for open and easy collaboration and communication amongst your valued employees without having them infringe on one another’s space. Virtual offices are also gaining a lot of popularity in this modern age in which technology is running the world. It allows many employees to conveniently work either from the comfort of their own homes or other remote locations that are more easily accessible to them. This is especially ideal for start-up or small businesses that require a great deal of travelling because you still get all of the perks of renting a physical office space without actually having to work from the office all the time. These perks include an administrative staff to answer phone calls on behalf of your business; forward phone calls and messages to you no matter where you are in the world; as well as mail delivery and acceptance services. Even if you work in the office, but have employees working remotely, you can always set up video conferences or phone calls so that they can stay in the loop and participate in important meetings regardless of their location via a safe and secure Wi-Fi connection. Some companies are very old fashioned in the sense that they still value the merits of having private office spaces. This is understandable because everyone works at different paces and comfort levels. While some people are fully capable of being productive in fast-paced environments where there’s room for a great deal of collaboration and discussion about group projects, others are simply more comfortable working in a quiet and solitary space. Whatever office space you choose should ultimately be able to accommodate both preferences. Your employees need places to venture off to during their lunch breaks in order to clear their minds, recuperate, or simply relax from a potentially stressful workday. Not only that, sometimes they just need an occasional change of scenery in order to get their creative and productive juices flowing throughout the day. Consider renting an office space that’s close to popular amenities such as restaurants, shopping centers, and public transportation. You should also take the parking lot situation into account. Many people still drive into work every day and it helps having ample spaces to park their vehicles without having to cruise the streets for a long time. Make sure that the office space you choose can accommodate your current staff comfortably, but also allows for some room to grow. Consider the future of your company when signing a short or long-term lease. If this is your first time renting an office space, then the former option is more advisable because there are so many unforeseeable factors that can impact your business. For instance, you might be forced to either expand or downsize in the future; or you might have to sell your business for one reason or another. These are all things you need to seriously consider when looking into appropriate office spaces for your company. Choose a space that fits the needs of your current staff, but also leaves a little bit of room for expansion in case you need it. Try not to go overboard one way or the other. Innovative Professional Offices can help you choose the right office space for rent in Ottawa, Toronto, and the GTA. We offer expertly and beautifully furnished shared and private office spaces with state-of-the-art boardrooms and meeting rooms to suit your needs. Even if you just need to rent a training room in Toronto for a short period, we’re more than happy to help! Contact us today to book a complimentary tour of one of our facilities near you!